Beets will forever conjure up memories of one of my most hilarious conversations with a co-worker. It was the first time I’d really spent any time with him and at a crowded and loud business dinner there was a mix-up with he, my friend, and I between the words beets and beads. It’s definitely one of those “you had to be there” moments, but suffice it to say things get real awkward when one of you is talking about necklaces and the other one is talking about a vegetable! As weird of a connotation that is, I have no qualms about beets! These pseudo reubens are easily my new favorite sandwich. To be fair, I haven’t had a classic reuben in years (or ever? ), so I’m not going to tell you this is the perfect meatless substitute for your favorite. However, I can tell you that these are delicious in their own right! 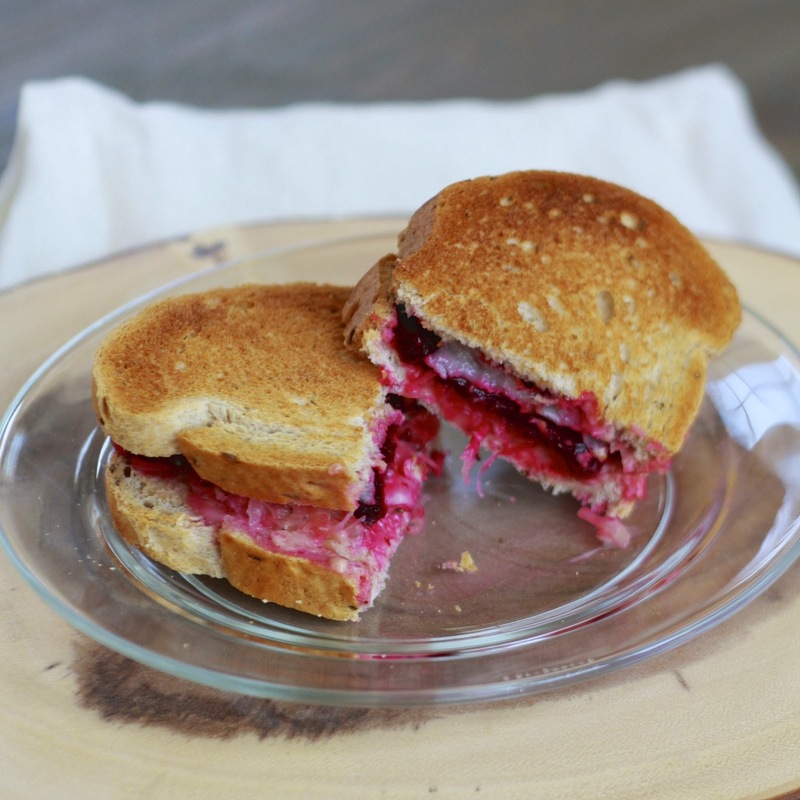 Roasted beets are combined with a homemade thousand island-esque dressing, sauerkraut, and Swiss cheese resulting in something spectacular. Promise me you’ll give this odd combo a try—I think you’ll be amazed by how well it works! 1. Preheat oven to 350F. Brush the beet with olive oil and season with salt and pepper. Wrap beet in foil and roast for 1 hour and 15 minutes or until tender. Allow to cool slightly before removing peel and slicing beet, 1/4-inch thick. 2. Transfer beet slices to a plate, drizzle with olive oil, and sprinkle with coriander and salt. 3. Meanwhile, in a small bowl, whisk together mayonnaise, ketchup, pickle relish, and lemon juice. Season with salt and pepper. 4. Preheat the broiler. Arrange the bread on a large baking sheet and broil until lightly toasted (1-2 minutes). 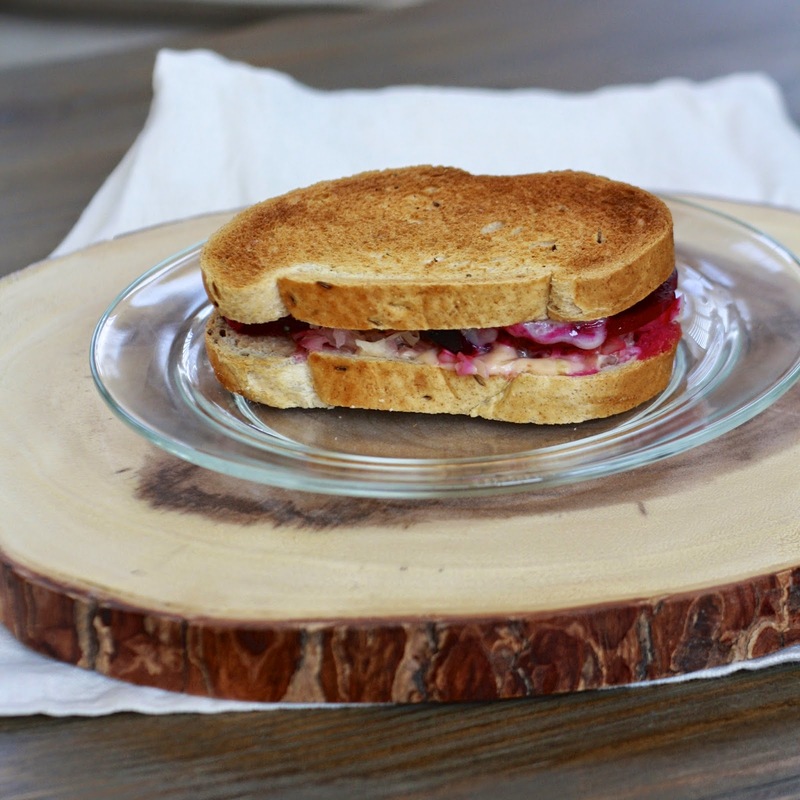 Remove 4 slices of bread and set aside. 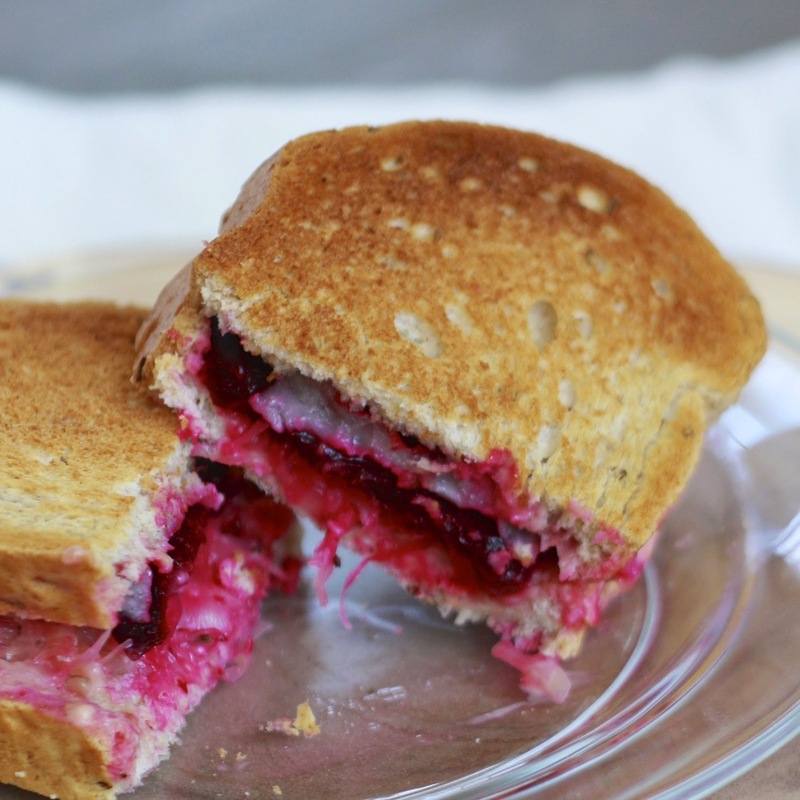 Flip remaining 4 slices of bread over and top with dressing, beet slices, sauerkraut, and cheese. Broil until cheese melts. Top sandwiches with bread and serve immediately.